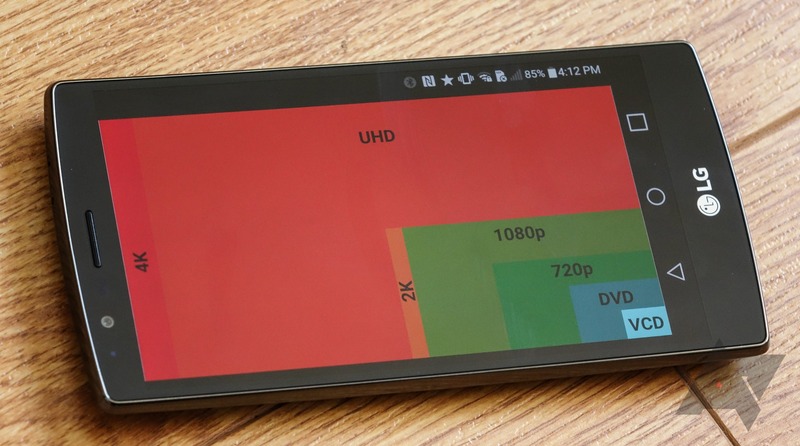 While there have been third-party implementations of 4K video output on some Android-powered TV boxes or USB sticks in the past, Google hasn't provided a native 4K video solution on Android just yet - but that's changing in "M."
According to the Android Developers site, 4K display mode is one of the new APIs available to developers in Android's M-iest release. What exactly does that mean for you, though? Well, for one, it means that media player apps that are able to leverage your device's ability to decode 4K video content will finally have a way to push that content at its native resolution on a compatible 4K display. Previously, it would be up to the hardware OEM to implement a proprietary solution for 4K-out on Android. It's possible we're seeing this API in a back-ported form in NVIDIA's Shield TV box, which does 4K video out, though we haven't really investigated that. According to Google's short blurb on the API, the 4K-out mode will do up-scaling for system UI elements, so if you have a 1080p phone, the system won't try to render the entire UI in 4K, which would probably bring performance to a crawl. Instead, SurfaceView objects, which can be things such as video (and in this case will likely exclusively be), will be allowed to render at their native resolution up to 4K. Of course, all of this relies on your device supporting 4K video-out to begin with. If we use Qualcomm as the bar, their Adreno GPUs have had native 4K-out since the Snapdragon 800, so that means most modern, high-end devices do have the baked-in hardware support necessary. The problem, to date, has been that developers generally have to write in 4K support for each proprietary solution they want to use, and obviously that doesn't tend to go over well. With this new API, there is now an official path to 4K video-out on Android.